Fancy experiencing 7 days of stunning beaches and beaming Caribbean sun? 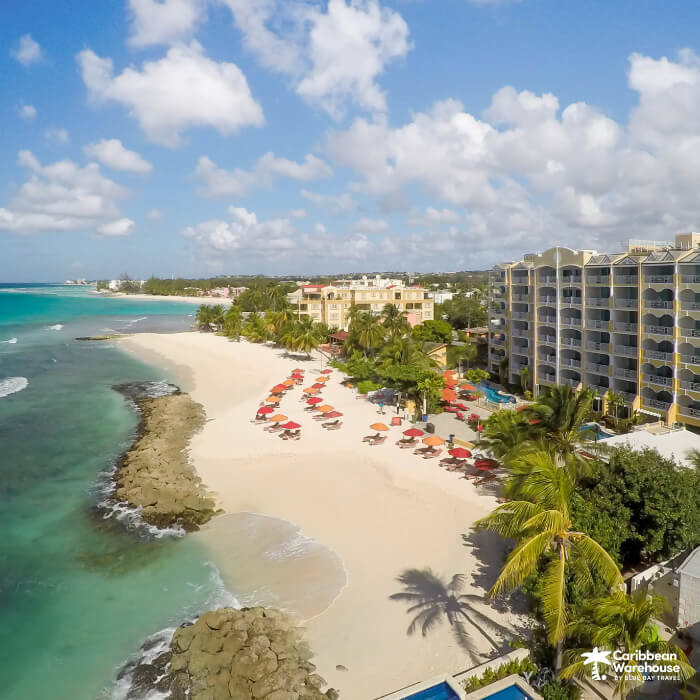 Prezzybox have teamed up with Caribbean Warehouse to offer one very lucky person the chance to win a 7-night stay at Ocean Two by Ocean Hotels, a beautiful 4-star resort on the South Coast of Barbados. With 2 outdoor pools, a fresh coconut station on the beach and an adults-only roof deck with the most amazing views of Oistins Bay, it's a chance to sit back, relax and make memories that'll last a lifetime. You'll get accommodation for 7 nights for 2 sharing adults (flights not included), with a daily continental breakfast, and all you have to do to be in with a chance of winning this once-in-a-lifetime prize is enter your details below! This competition is now closed. Stay tuned for more chances to win! By entering our draw, you will be given the option to opt in to receive marketing communication from Prezzybox and Blue Bay Travel, we will not market to you without obtaining your express permission. You are free to opt-out of any marketing you receive by clicking on the unsubscribe link in the email you receive. The provider of the prize is: Blue Bay Travel (company no. 5343019) whose registered office is at Unit A4 Bellringer Road, Trentham, Stoke-on-Trent, ST48GB. 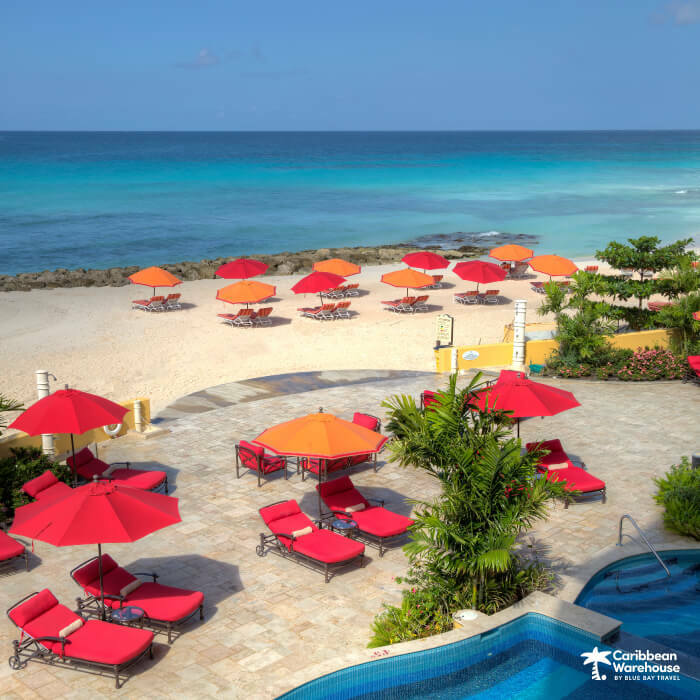 The prize is valid for 2 adults only sharing a One Bedroom Oceanfront Suite at Ocean Two by Ocean Hotels Barbados with daily continental breakfast. Supplementary meal/drink choices , spa treatments and personal expenditure are not included. The prize is subject to availability, is strictly non-transferable, non- refundable and must be taken 01 May 30 November 2019. The competition is not open to employees and their immediate families of promoter Blue Bay Travel and their associated agencies. Special requests will be accepted at the time of booking but not guaranteed. The winner and their travelling companion are responsible for ensuring they hold a valid passport to travel and any necessary visa, and that they hold adequate travel insurance. The holiday prize does not include flights, the cost of travel insurance, spending money or any other items or expense not specifically stated within the prize description. All such costs/expenses (e.g. hotel laundry, telephone calls etc.) will be the responsibility of the winner and their travelling companion. The winner must be one of the people who travels on the prize holiday and both travellers must travel at the same time on the same itinerary. Once the booking is confirmed, changes to the names, date or nature of the booking are not permitted. Blue Bay Travel reserves the right to cancel or amend these terms and conditions without notice in the event of a catastrophe, war, civil or military disturbance, act of God or any actual or anticipated breach of any applicable law or regulation or any other event outside of the promoter's control. Any changes to the competition will be notified to entrants as soon as possible by the promoter. No cash alternative to the prizes will be offered. The prizes are not transferable or changeable. All elements of any prize are subject to availability and we reserve the right to substitute any prize with another of equivalent value without giving notice.